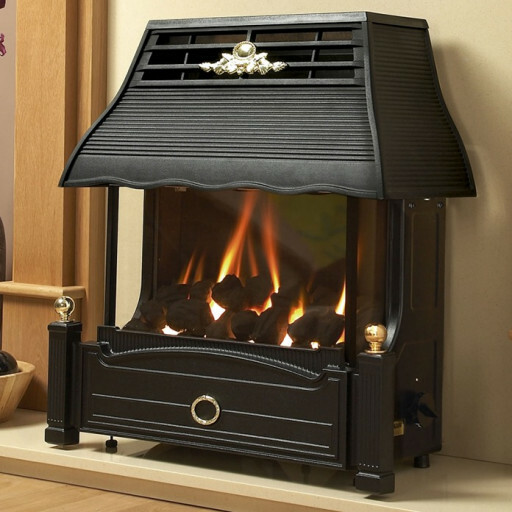 The Flavel Emberglow Balance Flue outset gas fire has a sophisticated and refined appearance. Since this cast iron gas fire features glass fronting, it enables people to experience its attractive and cosy flame effects from many different angles. This freestanding gas fire is made to be installed in residences that don't have standard flues. It's also made for residences that have malfunctioning flues that aren't safe for use. This gas fire's safety features include both an airwatch system and a flame supervision device. The Emberglow comes as standard with manual controls, although there is the option of a remote control unit. This gas fire provides homeowners with the perfect blend of design and practicality, with a timeless design manufactured from high quality materials. Because of that, it can fit in well with many types of home decor. If your home requires a reliable source of heat, then this fire might be the perfect choice for you. People appreciate this gas fire due to its enticing glass panels and overall enduring appeal. Last but not least, its net efficiency is 78 percent and its output is 4.3kW.